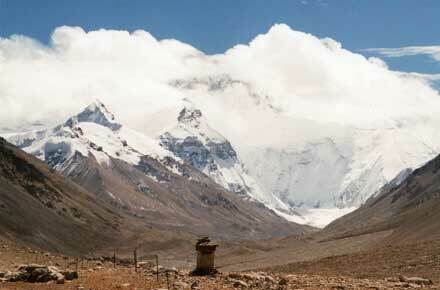 Great walking in superb and generally little-visited scenery to the north of the world's highest mountain. The fact that you can drive to Rombuk monastery makes for day tripper visitors in the “main” base camp area, which isn’t that great for the atmosphere. But there is exceptional walking in superb and completely empty mountains elsewhere, including to the Kangshung base camp. The Big One, undoubtedly one of the most baggage-laden places on earth, with myth often clouding reality. The world's highest mountain: 8,850m of striated rock, ice, tumultuous falling glacier, unblemished snow, jagged ridges….and dead bodies. An ultimate target for most serious walkers, albeit tarnished by too many visitors. 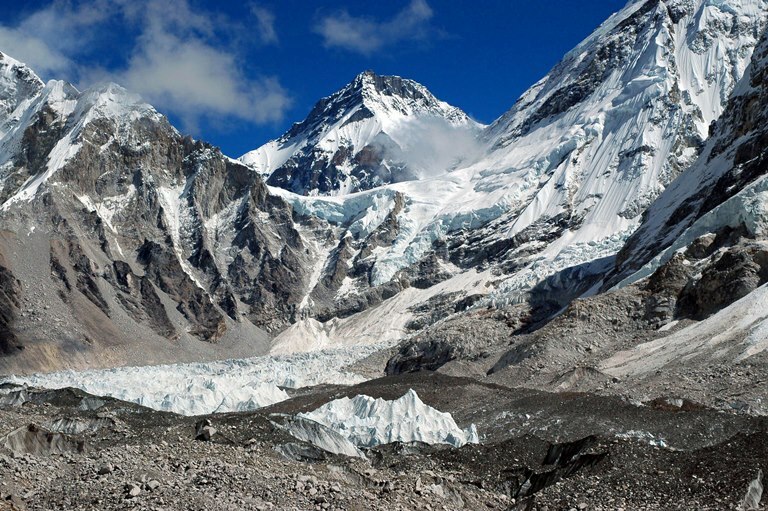 It is a funny historical accident how much less known the fabulous if harsh and dry scenery to the north of Everest (Qomolangma to the Chinese) than its magnificient but overvisited Nepali counterparts. 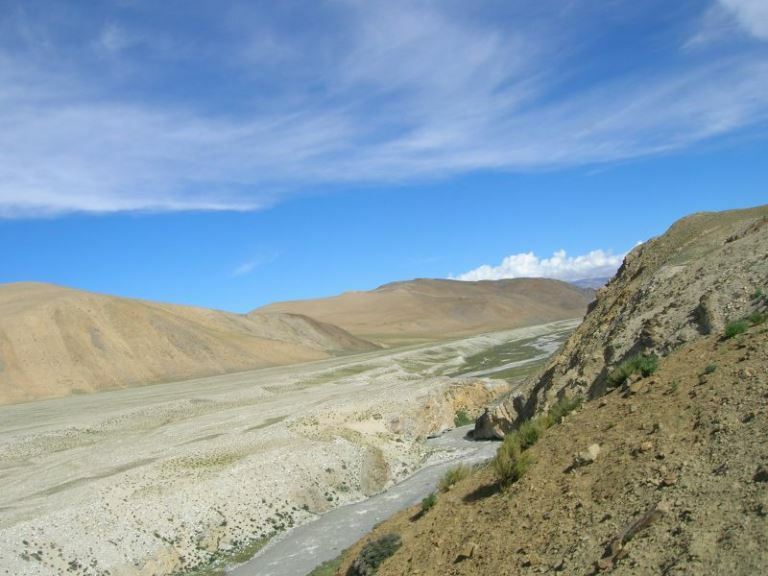 The area is, oddly, more accessible than the Nepali side – once you have made it to Tibet that is. 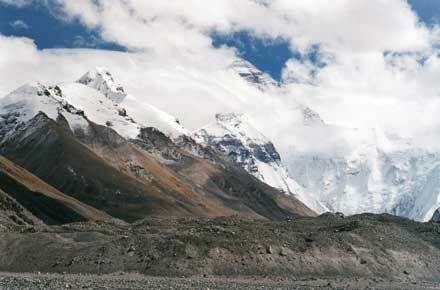 And the north-face base camps in Tibet are a mere thousand metres or so higher than the surrounding high plateau. 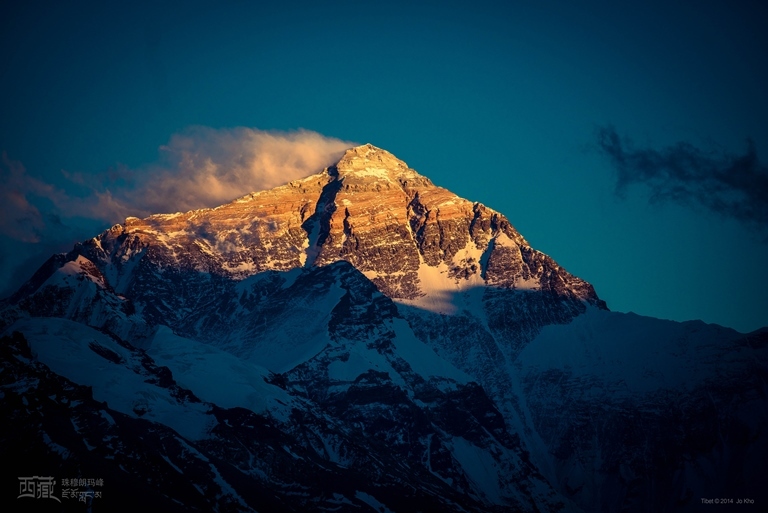 The Kangshung face base camp is relatively remote and totally spectacular, with amazing and unobstructed close up views of this sheer face. 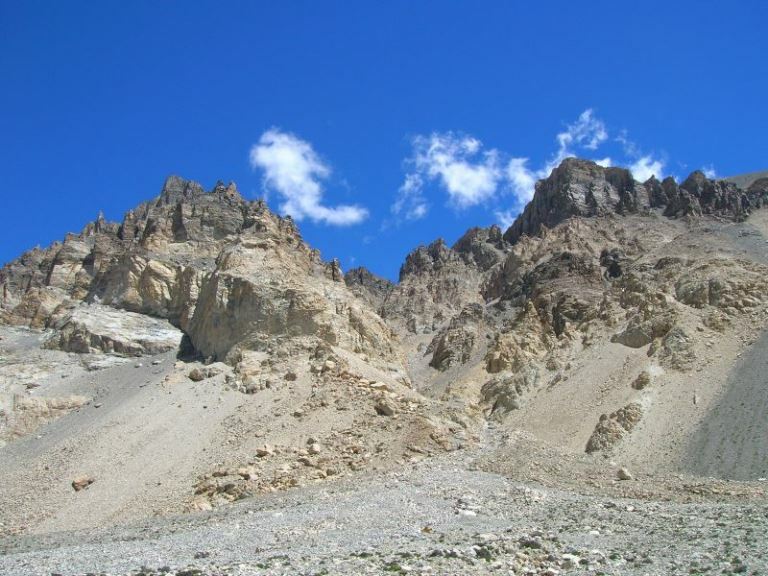 It can be trekked as a 5 day circuit from the Kharta valley. The main base camp above Rongbuk Monastery can now be reached by minibus (you can guess the consequences). 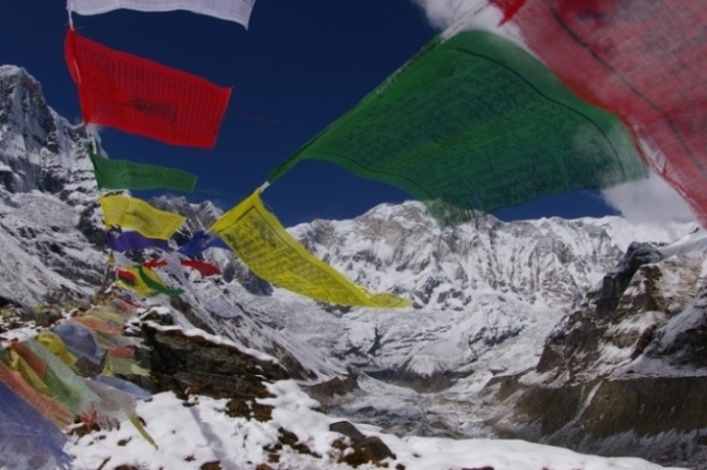 Despite this, the Everest views are stunning, and the high monastery itself has simple charm, so it is not to be missed if passing: but not as a special walk. 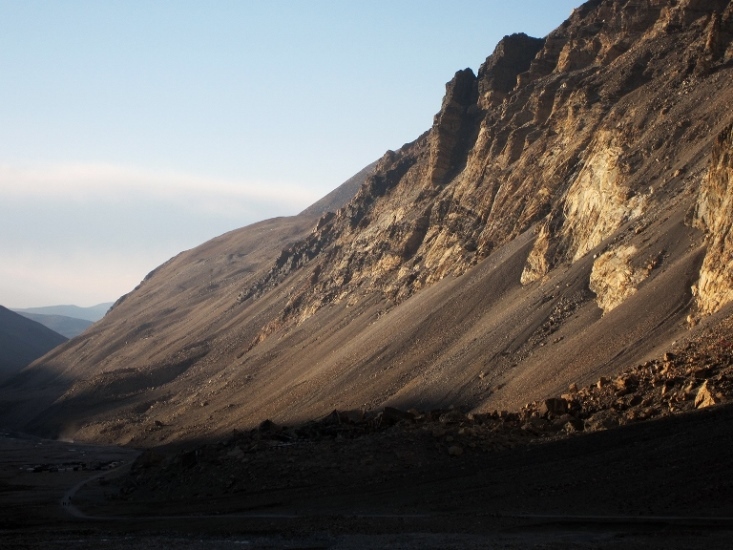 The area is, though, very empty once you are away from the Rongbuk/Base Camp areas. You can hike in (or back out - downhill!) 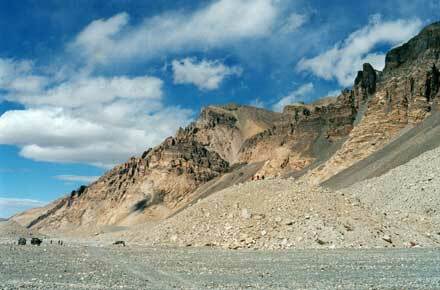 from Dingri in 3-4 days and from the Friendship Highway nearer Shegar, also in 3-4 days. See Lonely Planet Tibet for details. 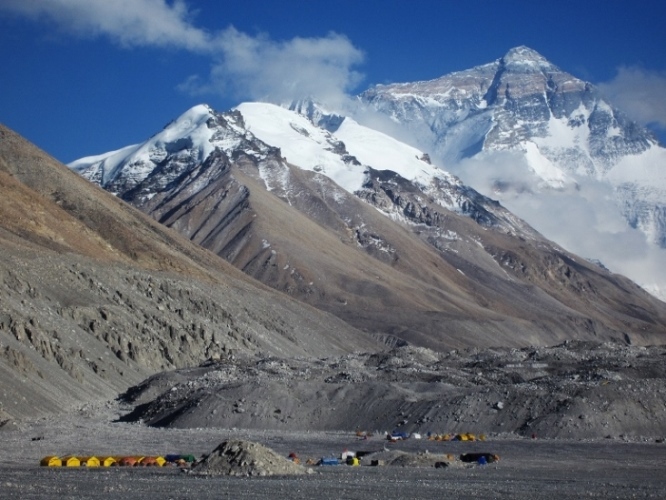 There are numerous routes that end at either of the base camps. These are tough walks in high, remote mountains, on which you will have to be self-sufficient and where altitude can cause real problems. Come prepared. Remember that the altitude can cause misery and even death. It will undoubtedly detract from your enjoyment, although most would still think that a major walk here is a high point of their hiking lives. 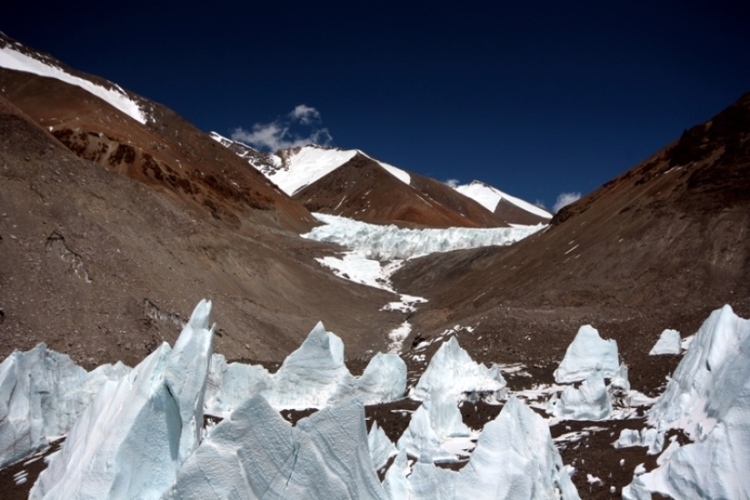 If you arrive by vehicle at Rongbuk or the like, you will be gasping for breath, even if you have acclimatized to the main Tibetan plateau.